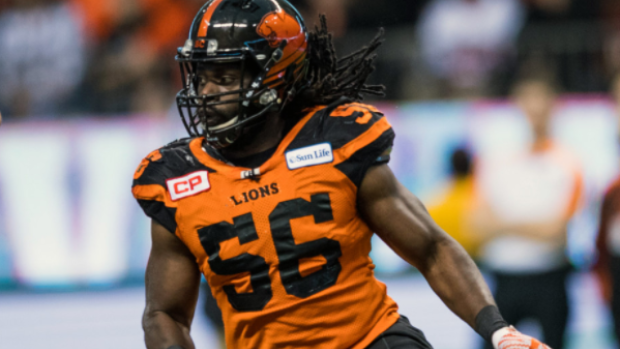 The BC Lions are exploring trade possibilities for linebacker Solomon Elimimian and offensive tackle David Foucault, according to TSN's Farhan Lalji. Lalji notes that Lions general manager Ed Hervey declined to comment, but did mention when the team signed Mike Reilly last week that fans could expect to part with some familiar names moving forward. Elimimian is a two-time winner of the CFL's Most Outstanding Player Defensive Player and was named the league's Most Outstanding Player in 2014. He was limited to just four games last season, posting 26 tackles and missing out on a CFL All-Star nod for the first time since 2015. He has spent his entire career with the Lions since debuting in the CFL during the 2010 season. Foucault, 30, played in all 18 games with the Lions last season, his second in the CFL. The Montreal native appeared in five games with the Carolina Panthers in 2014 before moving to the CFL in 2017.